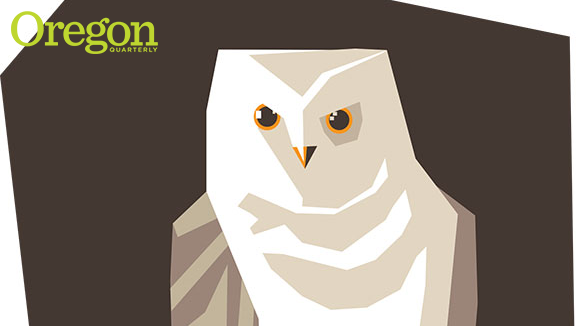 Excerpted from Melissa Hart's new memoir Wild Within: How Rescuing Owls Inspired a Family (Lyons, August 2014). “Melissa. Will you be all right here for a few hours?” Jonathan appeared, merriment wiped from his face. I regretted finally watching Hitchcock’s The Birds a month before. Would Jonathan return to find me lying among rat tails in some mew with my eyes pecked out? He hurried off and emerged from the clinic a moment later with the limp, bleeding eagle in his arms like a child. Drops fell to the asphalt as he slid into the back seat of the director’s station wagon. She leaped in and raced downhill; I heard the screech of tires as they disappeared down the road. Solitary, I expected to be scared. But after the first five minutes, in which I stood in front of Lorax’s clinic mew and watched her triangulate adorably on a moth, I found myself unafraid. There was too much to do. In the treatment room, I cleaned up the bloody towels and gauze pads on the table and picked up a feather Maya had shed—the length of my forearm—and wedged it into the glove rack for Jonathan. I set out thawed rats on pie plates in the clinic and shook vitamin powder on their white bodies, then trotted around the center delivering them to hawks and falcons—a combination postal carrier and grim reaper. The phone rang and I jumped for it, hoping for Jonathan, and recovered swiftly to tell the local farmer who’d called that yes, I’d leave a message for the director about putting him on the waitlist for two rehabilitated barn owls to hunt mice on his farm. Louise had left a sticky note on the computer monitor imploring someone to clean leaves off the fiberglass tops of the resident screech owls’ mew. I found a ladder and got to work. I talked to them as I troweled caked maple leaves and fir twigs off the roof. I kept up a stream of steady, sing-song chatter in time with my scraping. The owls clacked their beaks and let loose their burbling call. My cell phone buzzed, and I read a text from my sister. Can you believe it? We’re thinking of getting pregnant. At the sound of a thud, I looked up, expecting to see Jonathan with Maya, but it was Juno flying from perch to feeding platform in anticipation of her nightly rat. The center’s owls ate in the evening to mimic their nocturnal feeding habits in the wild. She stood level with me on the ladder. We looked at each other a long moment. Though I’d never get her on the glove—her wildness made her off limits as an ed bird—I felt a kinship with her, in part because she reminded me of one of my cats. But there was something else, as well. She was another maiden aunt, a comrade in my childlessness. Our organization had no breeding permit, and so the birds had no offspring. Did Juno feel a need to have babies? Or, like me, did the idea of motherhood frighten her? “What’s my sister thinking?” I wondered out loud. Katie and her husband had sworn off kids as adamantly as we had. Had they heard the toll of a biological clock indiscernible to Jonathan and me? I knew why he recoiled from the idea of parenting. He’d grown up with five siblings and a mom and dad in a little house next to a park. But at 15, he learned that his father—with whom he’d spent weekends fishing in Canada—had a fast-spreading melanoma and only a few months to live. “And your mom?” Tears had slipped down my face, and—amazingly—his. Jonathan had told me that losing his father when he was still a boy killed the desire to lock himself into a paternal position and expose his own mortality to someone more vulnerable than himself. Myself, I felt terrified of taking responsibility for any young person. My own childhood had been happily humming along when my parents began to awaken my brother and sister and me each night with screaming matches embarrassingly incongruous with our chic suburban neighborhood. At eight years old, I sensed it coming; even so, the afternoon my mother seat-belted my siblings and me into her car and sped away, a few suitcases and book boxes tossed in the back, I found myself devastated by the divorce. We moved into an apartment at the beach with a hard-faced, rough-voiced woman I learned to be my mother’s girlfriend. A few weeks later, my father showed up with a posse of police cars and spirited us away to the safe, ugly house he’d purchased with his new girlfriend. With legal strongmen at his side, plus a homophobic social worker who insisted that living with lesbians would damage us for life, he persuaded the judge to award him full custody of my younger siblings and me. For years, I stood on my father’s doorstep and watched my mother’s VW bus pull away, her hand stuck out the window in a limp salute—the last I’d see of her for 10 days until she was allowed to pick us up for the weekend again. An image like that doesn’t vanish; it burns itself into the skin like a sorrowful tattoo, marking the observer for life. How could I have a child knowing the anguish that separation might bring? It seemed to me the most wild and risk-taking thing that a person could do. By the time Jonathan and Louise returned from the hospital, I’d cleaned most of the mews, dusted the visitors’ center, and watered the plants. I stood pouring seed into the bird feeders that dangled from the cherry tree when the station wagon crept up the driveway. Slow was a good sign, slow so as not to frighten Maya. Louise parked, got out, and headed for her apartment. She shut the door behind her without a word to me. Then Jonathan climbed out of the passenger’s seat. Blood streaked his T-shirt and shorts. For an instant, I thought they’d been in a car wreck. I ran over. The back of his neck, newly shaved by a careless 10-dollar barber, shone naked and pink, badly in need of sunscreen. I could think of nothing to say, nothing to do but stand behind him, hands gripping his shoulders as the one-eyed kestrel chirped at us from his mew. I’d gloated over not wanting kids, believing we’d spare ourselves the agony of falling in love with helpless creatures who might or might not be taken from us. How little I realized that, for the next several years, on behalf of both birds and children, we’d gamble our emotions again and again. Melissa Hart is an adjunct instructor in the University of Oregon’s School of Journalism and Communication.